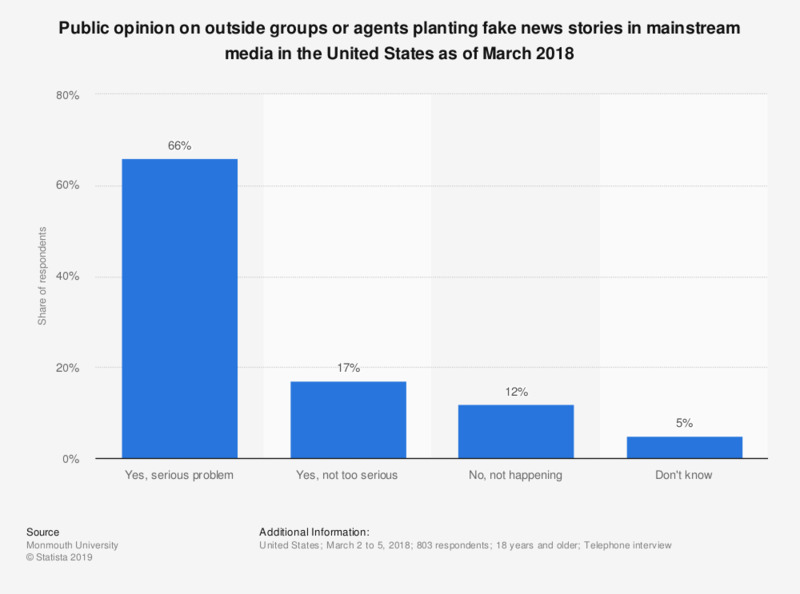 The statistic presents data on the public opinion on outside groups or agents planting fake news stories in mainstream media in the United States as of March 2018. During the survey, 66 percent of respondents stated that they believed that outside groups were actively trying to plant fake news stories in the mainstream media and that it was a serious problem. This question was phrased by the source as follows: "Do you think outside groups or agents are actively trying to plant fake news stories in the mainstream media, or is this not happening? [If YES: Is this a serious or not too serious problem?]"